Let us re-examine some of the “myths” that Green and Hornung so quickly dismiss. Green and Hornung maintain that Abe’s announcement is not undermining the spirit of Article 9, because in reality it is not really changing the official interpretation at all. 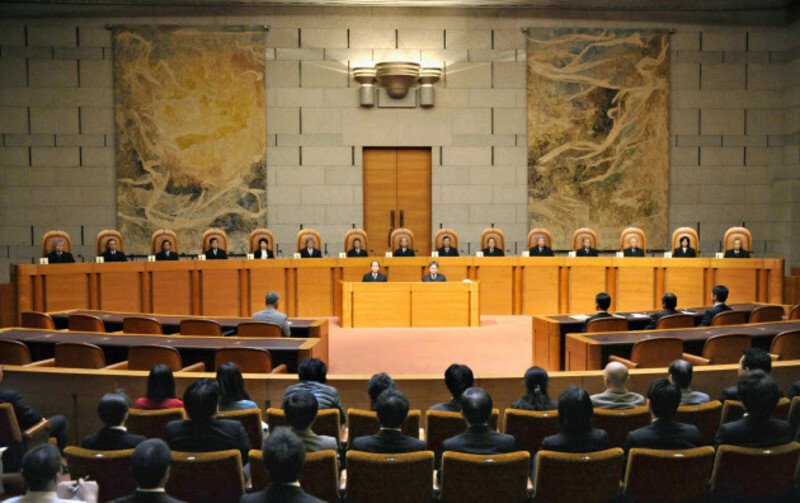 They claim that the Cabinet Legislation Bureau (CLB), a department within the Ministry of Justice that gives advice to the government and the Diet on the constitutionality of laws, has always acknowledged that Japan has a right to collective self-defense under Article 51 of the UN Charter, but that “collective self-defense was deemed inappropriate because it did not meet the CLB’s definition of ‘minimal’ defense” necessary for the defense of Japan. What has changed now, according to Green and Hornung, is that because of the evolution of the strategic environment, collective self-defense should be understood as being within the “minimal necessary use of force” required for the defense of Japan itself. Thus, they argue, the shift in the “reinterpretation” is not inconsistent with the original CLB position, and is thus not really a new interpretation of Article 9. This is both misleading in what it does argue, and entirely disregards more fundamental arguments about the harm that will be caused to Article 9. To begin with problems inherent in the narrow point they make, it is simply incorrect to say that the recognition of a right to collective self-defense would not constitute a fundamental change in the meaning of Article 9. Their claim appears to confuse the distinction between individual self-defense (ISD) and collective self-defense (CSD), as those concepts are understood in international law. ISD, of course, is the use of force in defense of the state in response to an armed attack on that state. ISD has been understood to be permitted by Article 9 since Japan reemerged as a sovereign state in the early 1950s, following the postwar Allied Occupation. CSD, on the other hand, is the use of force by one state in defense of some other state in response to an armed attack on that other state, for example the American use of force against Iraq in defense of Kuwait in 1991. Green and Hornung’s argument that Japan may use force to assist other countries in order to better ensure Japan’s own security conflates these two concepts. The use of force by Japan in a true exercise of CSD would, by definition, not be for the defense of Japan, even if at some stage in the future such an action might improve Japan’s strategic or defensive situation. 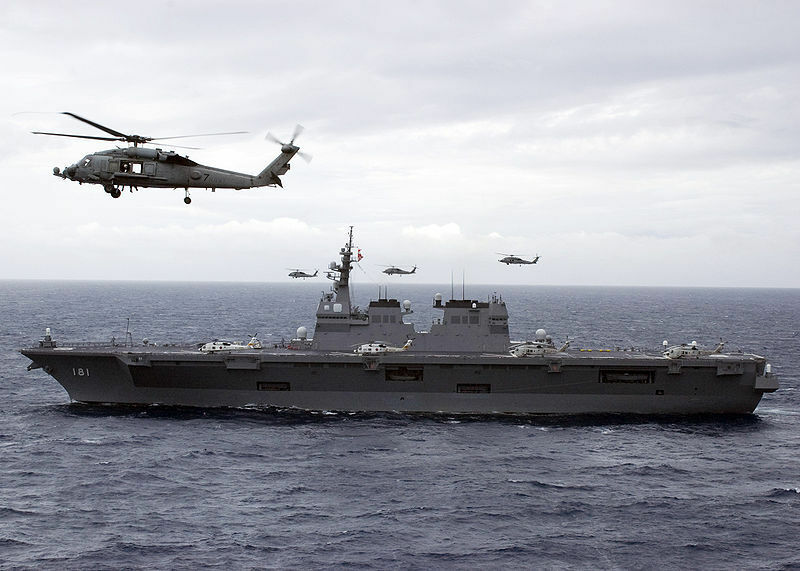 It is true that the CLB has acknowledged that Japan, like all nations, has the right to use force in the exercise of CSD as a matter of international law; but it has also stated, on more than one occasion, that it is prohibited as a matter of constitutional law. According to the bureau’s earlier statements, Article 9, which renounces war and prohibits the use of force as a means of settling international disputes, makes the exercise of that international law right “impermissible under the constitution.” All that is permitted is the minimum force necessary to defend against an armed attack on Japan itself – an exercise of ISD. By eliminating the requirement that there be a direct attack on Japan as a pre-condition for Japan to lawfully use force in self-defense, the Abe Cabinet has therefore made a clear break with, and is in direct opposition to, prior and consistent understandings of the constitution. A related argument that is often heard is that there has been a pattern of “reinterpretations” by government in the past with respect to defense posture and capabilities, and thus this “reinterpretation” is not unusual. AsThe Economist puts it, this was a “usual if rather shabby” process of constitutional change. But this too is entirely inaccurate. It is true that there have been incremental changes to Japan’s defense posture, but there has been a consistent understanding that such decisions on force adjustments fall within constitutional boundaries, precisely because they take into account the restraint embodied by the long standing interpretation that force may be used only for the direct defense of Japan. The government has never suggested that these defense posture adjustments constituted a “reinterpretation”, nor have they ever been understood to “reinterpret” Article 9. Government “reinterpretation” has simply never been recognized as a legitimate method of circumventing the legitimate amendment procedures and revising the longstanding interpretations of the constitution. The difference in nature between past defense posture adjustments and the current “reinterpretation” becomes clearer upon a closer examination of those past shifts. The government has sought to reduce the restrictions on the deployment and use the military since the 1980s, and particularly after the Gulf War. However, many of these restrictions (such as the post-war ban on overseas dispatch of the SDF, rescinded in 1993) were established between the 1950s and the mid-1970s as political measures designed to deflate protest on the political left and to reassure the Japanese public sceptical after the war about military solutions to international problems. At the time they were conceived and often afterwards, the government was careful to note that such restrictions were not required by the constitution. Thus, the later dismantling of those restrictions, such as legislation eliminating the ban on overseas deployment of the SDF for involvement in UN peace keeping operations (PKO), did not constitute a “reinterpretation” of Article 9. The deployment of the SDF for PKO activity does not constitute a use of force under international law and did not implicate Article 9. Similarly, relatively recent overseas missions, such as anti-piracy operations, while they appear to political analysts as a type of CSD, in fact constitute no such thing, because they do not involve the use of force—a concept in international law that relates to relations between state actors. On the other hand, the deployment of the SDF to assist in the belligerent occupation of Iraq in 2003 may indeed have constituted a use of force, as the Nagoya High Court so held in a judgment in 2008—but that would be a violation of the Constitution, not an example of its “reinterpretation”. Abe’s attempt at “reinterpretation”, shabby though it may be, is therefore far from usual. This point is often lost on historians, political scientists, and analysts interested in Japan’s defense policy, who focus less on the legal ramifications of change and more on the strategic or political implications. It is lost as well on some peace advocates and left-wing politicians in Japan, who have never fully accepted the 1954 interpretation that recognized the right to exercise ISD, or the legitimacy of an SDF as constituting the minimal “war potential” necessary for the defense of Japan. Seen from their perspectives, the current “reinterpretation” may seem to be simply a continuation of an incrementally more assertive (and possibly unconstitutional) defense policy. But from the perspective of the government’s own position on Article 9, this “reinterpretation” is unprecedented. Green and Hornung also suggest that the current interpretation and understanding of Article 9 was itself based on a “reinterpretation”, and that, therefore, “if Abe’s decision was reached undemocratically, then the earlier interpretation being upheld by his opponents must be considered undemocratic as well.” But this too is misplaced. The CLB played an important role in developing the initial interpretation, it is true – but that was at the very outset of establishing the interpretation of a new constitution. While there was robust debate in the Diet as to what precisely Article 9 meant and exactly what it restricted, the government issued no clear and consistent opinion until the interpretation in 1954. That interpretation, as it related to the very limited right to use force for purposes of ISD, was reinforced by the Supreme Court, the branch of government with the constitutionally mandated authority to interpret the constitution, in the famous Sunagawa case in 1959. It has been further reinforced by more than six decades of consistent Diet testimony and policy precedent. Indeed, in 1991 there was enormous pressure upon Japan to contribute forces to the coalition engaging in collective self-defense in response to Iraq’s invasion of Kuwait, and there was an acute sense that failure to do so would jeopardize Japan’s alliance with the U.S., but the CLB advised the Kaifu government that Article 9 prohibited any such move. The government, in compliance with that understanding of Article 9, therefore refused to participate in the military operations, and the no-use of force provision of Article 9 successfully operated to constrain government policy. There is no basis for arguing that the manner in which the original interpretation was established, shortly after the Constitution was promulgated and prior to any judicial consideration or serious policy development, is in any way similar to the “reinterpretation” by Cabinet fiat now at issue after six decades of entrenchment. It cannot be considered a serious comparison. These rather technical arguments about the past CLB interpretation in any event miss the other ways in which the “reinterpretation” will potentially gut Article 9. In addition to now declaring that Article 9 no longer prohibits the use of force for purposes of CSD, key actors in the government and an “Advisory Panel” that Abe set up to “reconstruct the legal basis” for national security have suggested that Japan can and should use force in collective security operations authorized by the U.N. Security Council under Article 42 of the Charter. If that were to become the accepted interpretation of Article 9, which, it should be recalled, states in part that Japan “forever renounces war as a sovereign right of the nation, and the threat or use of force for the settling of international disputes”, then Article 9 will in fact no longer renounce any sovereign right relating to the making of war and the use of force, despite its explicit language to the contrary. The U.N. Charter prohibits the use of force by states, with three exceptions – or to put it another way, three sovereign rights – the use of force for ISD and CSD, and collective security measures authorized by the Security Council. Under the “reinterpretation” recommended by the panel, Japan would be permitted to engage in all three, and so Article 9 would not limit Japan from doing anything that international law does not already forbid. It is difficult to see that such a move would not be gutting the pacifist spirit and intent of Article 9. The next “myth” that Green, Hornung and others take aim at is the so-called slippery slope argument. Abe’s defenders argue that there is no such slippery slope, and this move cannot be taken as leading to further erosion of Article 9. In emphasizing the modesty of Abe’s “reinterpretation”, they point to the fact that the prime minister has stated that the constitution would continue to prohibit collective security measures authorized by the UN Security Council. Leaving aside for a moment the fact that this limitation is not explicitly mentioned anywhere in the text of the Cabinet Resolution, the larger point is that the process of reinterpretation destroys any sense of durable and meaningful constitutional constraints, which undermines not only Article 9, but indeed the entire constitutional structure. So the Cabinet Resolution places various conditions upon the exercise of CSD, upon which defenders of the process place great store. But given the precedent this process has established, these limits too are only binding, if one can call it that, until the next Cabinet resolution. These are not constitutional provisions or principles, but mere whims of the Cabinet of the day. If they can supplant a constitutional provision today, a much broader and more insidious Cabinet Resolution may do so tomorrow. Thus, the prospect of the process comprising the beginning of a slippery slope cannot be dismissed as mere myth. This process of “reinterpretation” by cabinet fiat makes a mockery of the entire notion of a constitution comprising the highest law of the land, which serves to bind future generations to consistent principles and values, and imposes meaningful constraints on the exercise of government power. The slippery slope argument is further strengthened by considerations of motive. It is hard to dismiss the violence that the Cabinet Resolution does to the constitution as “merely” the product of a government with an overzealous defense agenda prioritizing narrow policy goals over respect for constitutional provisions. Rather, undermining the constitution appears to be a central goal of key actors within the government. Abe has actually suggested that the idea that constitutions are intended to limit government power is “old-fashioned.” In the recent negotiations with Komeito over the exact language of the Cabinet Resolution, many members of the ruling Liberal Democratic Party (LDP) wanted the resolution to have fewer limitations. Meanwhile, LDP Secretary General Ishiba Shigeru has noted that the government should “start with a limited scope” in its interpretation of CSD so that it can “widen later.” The Abe Cabinet’s “reinterpretation” leaves precisely that possibility intact by at once eliminating the constitutional prohibition on CSD, but also adding ambiguous limitations and conditions, so that any decision on expanding the roles of the SDF will be merely political, not legal. Moreover, it has established the precedent that any provision of the constitution—not just Article 9—is subject to arbitrary government “reinterpretation.” Scholars have also argued that this is just one step towards more wholesale amendment down the road—that by twisting the meaning of the constitution, Abe is trying to ensure that it will be easier to claim later that the actual language of its provisions no longer reflect reality, and must therefore be formally amended. Whether or not that is the case, with reinterpretation acting as a de facto mechanism for change, arguments about actual amendment would be moot. In arguing that it is merely a “myth” that the “reinterpretation” was made undemocratically and without transparency, Green and Hornung emphasize that cabinet discussions on CSD, “were reported upon daily by Japan’s media, enabling voters to be fully aware of the discussions.” But that does not address whether the prime minister or the cabinet properly subjected the process to transparent and democratic scrutiny. Yes, there was media attention. Indeed, few issues rile the media in Japan like government action on security policy. But on its own, media coverage of government statements on CSD does not imply transparency or adherence to democratic principles. In fact, in his push for “reinterpretation”, Abe has pointedly attempted to circumvent any real public or political debate (transparency), and even more seriously, circumvented the constitutionally mandated amendment procedure, which in and of itself constitutes a violation of fundamental principles of constitutionalism and the rule of law (democratic principles). This begins with the circumvention of the amendment procedure. Article 96 of the Constitution provides for precisely how the Constitution is to be amended. Amendments must be initiated by the Diet, approved by two thirds of each house of the Diet, and then approved by a majority of votes in a general referendum. Comparative research has shown that Japan’s amendment process is less difficult than that of a number of other constitutional democracies, including the U.S. Indeed, the LDP did in fact begin laying the foundation for formal amendment in the years following 9/11. But when Abe’s attempts to mobilize support for amending Article 9 ran into stiff headwinds, he attacked the amendment procedure itself, seeking to make the constitutional amendment process little more difficult for the Diet than the revision of common statutes. When that effort failed, due in large measure to the backlash from lawyers and constitutional scholars, he chose to circumvent the amendment procedure altogether, moving to “reinterpret” Article 9. To dress up this wholly illegitimate process, he resurrected his extra-constitutional “Advisory Panel” of so-called experts, with a mandate to examine how Article 9 should be reinterpreted in light of the changing security environment. The Advisory Panel, which included very few lawyers and only one constitutional law scholar, engaged in little constitutional analysis. Rather, it developed a result-oriented argument, reasoning that because Japan needs to do more to ensure its security, Article 9 must therefore mean that Japan can do more to defend itself and others. On the basis of this Report, the Abe Cabinet developed its resolution that constitutes the “reinterpretation” of Article 9. There was no prior debate on the content of this resolution in the Diet, no vote in the Diet, no referendum, not even consultation with either the Diet or the public. As already discussed above, it was an executive fiat by the Cabinet that purported to change the meaning of a fundamental principle of the constitution, in a manner that was not only inconsistent with the long-established and entrenched interpretation of Article 9, but that was irreconcilable with the explicit language of the provision. As further evidence of the departure from democratic principles, Abe made a political appointment of the new Director of the CLB, presumably to ensure that the CLB would in due course provide a supportive interpretation of the Resolution and laws passed to implement it. This political appointment of someone external to the CLB and the Ministry of Justice was contrary to deeply entrenched convention, and provoked criticism from past CLB directors. The entire process not only usurped the superior constitutional claims of both the Supreme Court and the Diet to constitutional interpretation, but was likely designed to make any future contrary interpretation by the Supreme Court that much more difficult and politically risky. This process of “reinterpretation” was not only a violation of the constitutional amendment procedure, but it makes a mockery of the idea that the constitution can constrain the exercise of government power. It flies in the face of the notions essential to the rule of law: that all law must be passed and amended through democratic process, and that government is both subject to the law, and must exercise its authority as defined by and in accordance with the law. Pundits argue that the Diet will still have its say when it comes time to pass legislation implementing the new interpretation. 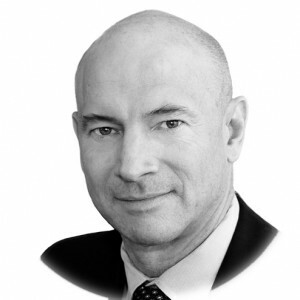 But to suggest that this post hoc debate will justify the prior unconstitutional “reinterpretation” is to reveal a perverse understanding of deliberative democracy and the respective roles of the legislature and the executive in a parliamentary system, especially one where the formalseparation of powers is so clearly defined in its constitution. And to suggest that all these ills were cured by the fact that there was robust discussion in the media is just absurd. Aside from the violence done to the constitution and the rule of law, there are practical policy concerns. Defenders of the “reinterpretation” also argue that it is a mere myth that the shift may lead to Japan’s involvement in foreign wars. Indeed, Abe was extremely careful when explaining the Cabinet Resolution to note that the government’s new stance would not lead to the use of force by Japan in foreign wars such as the 2003 U.S.-led invasion of Iraq. As already noted, however, removing the legal ban on collective self-defense and allowing future governments to slice away at restrictions on the use and deployment of the SDF means that there is only the prime minister’s word prohibiting such involvement. Others in the LDP, indeed well placed LDP politicians such as Ishiba and Iwaya Takeshi, chairman of the ruling party’s Research Commission on Security, have stated explicitly that because Japan “must balance China in this region,” the ultimate goal of removing the legal restrictions on CSD is to create “an Asian version of NATO” (ajia-ban NATO), which would no doubt create collective security and mutual defense obligations. From within the bureaucracy as well, Assistant Chief Cabinet Secretary Takamizawa Nobushige has suggested that the “reinterpretation” can and should permit the SDF to fight on foreign soil if the conflict is relevant to Japan’s interests – a far cry from being necessary for the immediate defense of Japan. Indeed, it is hard to believe that Abe will adhere to his own statements about restraint. The prime minister has already noted that under the ”reinterpretation” Japanese forces could be dispatched to help deal with situations in the Middle East that could disrupt global oil supplies. In the 2006 book outlining his “vision” as prime minister, he also referenced the NATO alliance and other collective security arrangements to emphasize the benefits of CSD. More importantly for Abe, however, casting off the shackles of the post-war constitution has long been a matter of ideology. Indeed, in 2004, before he was prime minister, Abe discussed enabling the right to CSD in the context of a post-Iraq world where Japan could determine the global security agenda alongside the United States. In the same discussion, Okazaki Hisahiko, a former diplomat who has been influential on Abe’s thinking about CSD, and who has since served as one of his key advisors, opined that “had Japan recognized the right of collective self-defense one year earlier, it could have used the Iraq War to become one of the world’s three great powers.” Perhaps Japan will not now be involved in foreign wars, but if this is the thinking that dominates among Japan’s leaders and their advisors, such involvement may come sooner than Abe’s defenders claim. Finally, it has been suggested that it is mere myth that the Japanese public is opposed to the reinterpretation. But it is no myth. 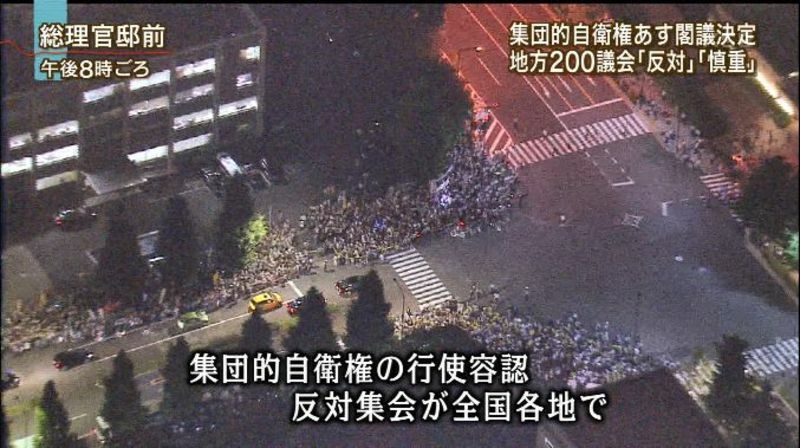 Given the foregoing, it is entirely understandable that the Japanese public, which is still skeptical of military solutions to international problems, is opposed to the authorization of the right of CSD. When framed as an honest and simple question about support for or opposition to such authorization, polls have shown that half, and as many as 60 percent, of Japanese respondents are opposed, while about only 30 percent support the shift. Even polls by the conservative Sankei Shimbun and Yomiuri Shimbun, whose multiple response options and questions preceded by loaded “explanations” have in the past bent responses towards support for Abe’s moves, are now registering clear majorities in opposition to CSD. Green and Hornung, as well as other defenders of the Prime Minister’s constitutional move, dismiss these consistent poll results by presenting data showing the Japanese public as positively disposed to military cooperation with the United States. 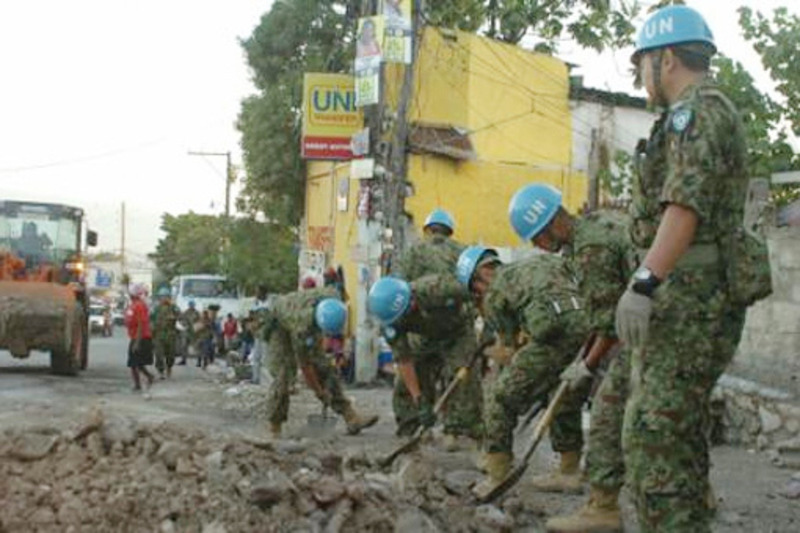 After the earthquake, tsunami and nuclear disaster in Japan’s northeast in 2011 and then again in the Philippines last year, the Japanese and U.S. showed that there were a range of areas where they could enhance their cooperation in disaster response operations. However, such missions do not entail any use of force, far less an exercise of the right of CSD, and there is room for various kinds of cooperation on security policy that do not imply any need to use force in CSD. Clear sighted analysis should accept the fact that opposition to CSD is now increasingly consistent without attempting to spin positive feelings for the United States into support for Abe’s policy. Nevertheless, while there is solid opposition to CSD as policy, this is not the whole, or even the most important facet of public opinion revealed by polls. Opposition to authorization of CSD under current constitutional arrangements is even greater. An April poll conducted by the NHK, for example, found that only 21 percent of Japanese approved of Abe’s method of “reinterpreting” the constitution. Almost 70 percent in an Asahi Shimbun poll the following month branded Abe’s attempt to revise the constitution as “improper.” There is thus a significant number of respondents (around a third according to the NHK poll) who support CSD as policy, but who nevertheless believe that such a change should come through the legitimate amendment procedures as stated in the constitution. Moreover, there is deep dissatisfaction with the way in which the government has proceeded with the debate on CSD. Recent polls show that as little as 9 percent of the Japanese public thinks that there was sufficient debate on the Cabinet decision, while up to 84 percent does not. These polling results would suggest that the Japanese people are far more concerned about the implications of the purported “reinterpretation” for constitutionalism, the rule of law, transparency, and democracy, than they are worried about the actual strategic implications of the proposed shift. And so they should be. The Cabinet Resolution amounts to “a constitutional coup”, by a prime minister who has stated not only by his actions, butby his very words that he is the “ultimate authority” when it comes to interpretation of the hightest law of the land. Changes in defence policy may be initially modest, but if “reinterpretation” is not resolutely resisted, future governments may not feel the need for such restraint. This does not auger well for democracy or indeed the entire constitutional order in Japan. And that is where the argument about this “reinterpretation” should properly be focused. Bryce Wakefield is assistant professor of Japanese politics and international relations at Leiden University. Craig Martin is associate professor of law at Washburn University. The views expressed in this article are their own.